Marvel, Disneyland, and "Wizards", OH MY!!! This is the first new post I have made in over a year. The past 12 months have been a roller coaster of emotions what with getting a job at my local Lego Store and taking my first "adult" vacation to Disneyland (no parents and not school related) on the high end, and I won't go in to the bad because I would rather not have it on my mind at all. We have lots to talk about in the world of Disney so lets get started while the day is still young. Lets start out with a very brief overview of the past 12 months of Disney movies that were headline worthy. 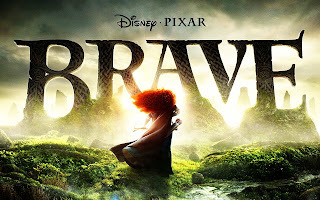 June 22, 2012 - Disney/Pixar's Brave was released to theaters where it seemed to get good reviews from the general public, but the DFs (disney fans) seemed to have mixed reactions to it. Brave is the story of a young princess who is supposed to be getting betrothed soon and she wants nothing to do with it. (spoiler alert) She runs away and meets a witch who gives her a spell (really a curse) that will make her mom change her mind about the pending marriage. However it turns Queen Elinor into a bear, hilarity ensues in Merida and Elinor's quest to break the curse before it becomes permanent. Merida has proved to be popular enough to warrant being inducted in to the official Disney Princess line up. Brave grossed $287 million domestically and had a world wide $539 million. October 5, 2012 - Tim Burton's Frankenweenie came to haunt the theaters. Disney was seeming to expect it to do "Nightmare Before Christmas" type of numbers but it really ended up losing money domestically. with a reported budget of $39 million and it took in $35 million. 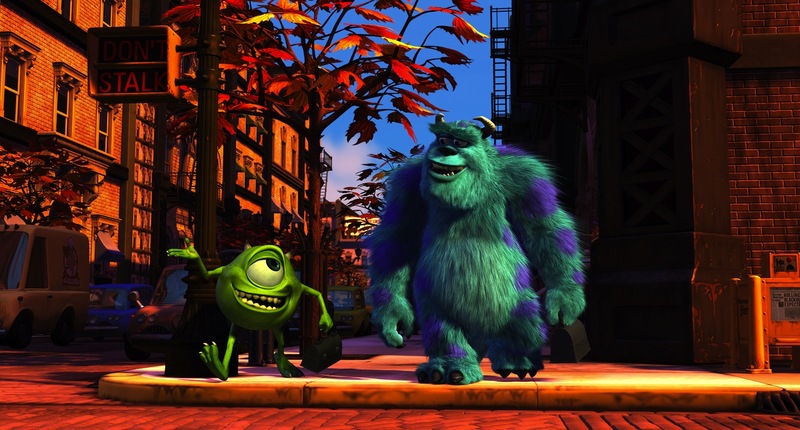 As much as some people loved this film, Disney ultimately lost money on this one. Interestingly, it seems like with some movies, the harder Disney pushes it in the parks and in advertising, the worse the end up performing domestically (both this and Pirates 4 are examples of this). 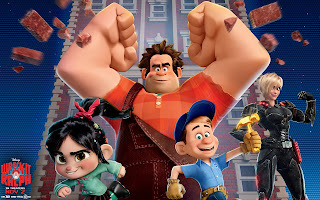 November 2, 2012 - Walt Disney Animation Studios' 52nd animated classic Wreck-It-Ralph came out to both critic and public success. It and Brave took home the Best animated feature awards this year, and every DF you talk to will say they liked one more then the other. One of my favorite things in it was all the cameos from classic video game characters like Bowser, Sonic, and dozens if not hundreds more. Domestically it took in an impressive $189.4 million making it the second most successful in recent years behind Tangled ($200 million). And Globally it took in a total of $471.2 million. 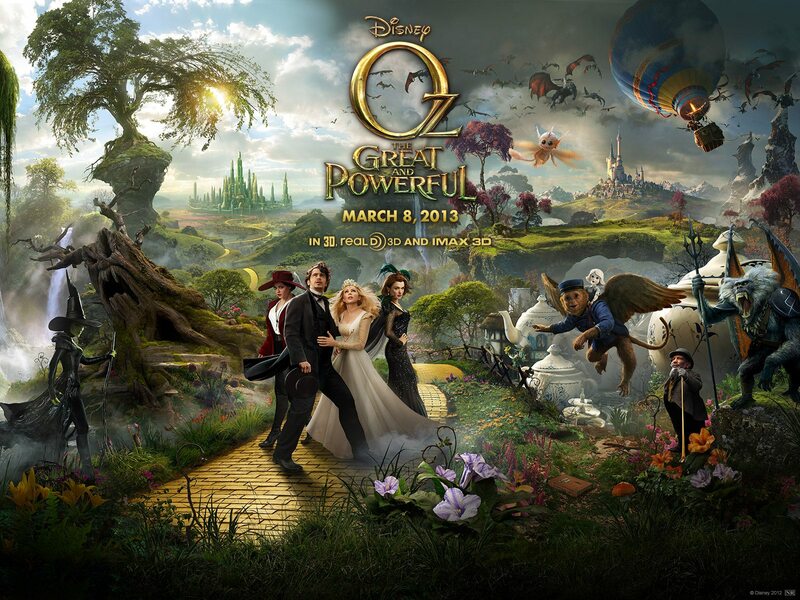 March 8, 2013 - Oz: The Great And Powerful hit theaters scoring the 2nd highest opening weekend so far of 2013 with $79.1 million. Because it is still out I won't talk about any plot points, but I will tell you that I loved this film and have already pre-ordered the Blu Ray (coming out June 11th). There are nods to the classic film from MGM all over so if you love The Wizard of Oz like I do (and most of America) you will fall in love with Oz: The Great And Powerful. To date it has brought in $231.5 million domestically and globally it is at $488.5 million. Disney has already got to work on a sequel which I can't wait for!!! If you haven't seen this yet, go see it before its too late. 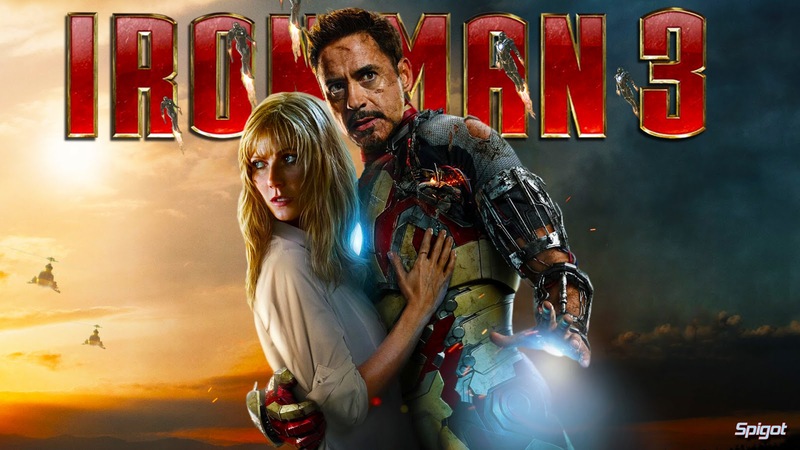 May 3, 2013 - Marvel's Iron Man 3 became a box office juggernaut that still hasn't slowed down (though it will this weekend). It scored the second highest opening weekend ever with $174.1 million and it broke records globally. In less then 3 weeks out in the US it has already grossed $343.6 million and should easily hit $400 before it is done. It came out 1 week earlier in most foreign markets and in less then a month release it has already joined the Billionaire club globally with $1.080 billion. This is significant for Disney because it is Disney's 6th film to gross over a billion and when only 16 films have accomplished it to date it is impressive that more then 1/3 are Disney movies. I won't go in to any spoilers but if you like action films and haven't seen it yet, you owe it to yourself to go see it ASAP. 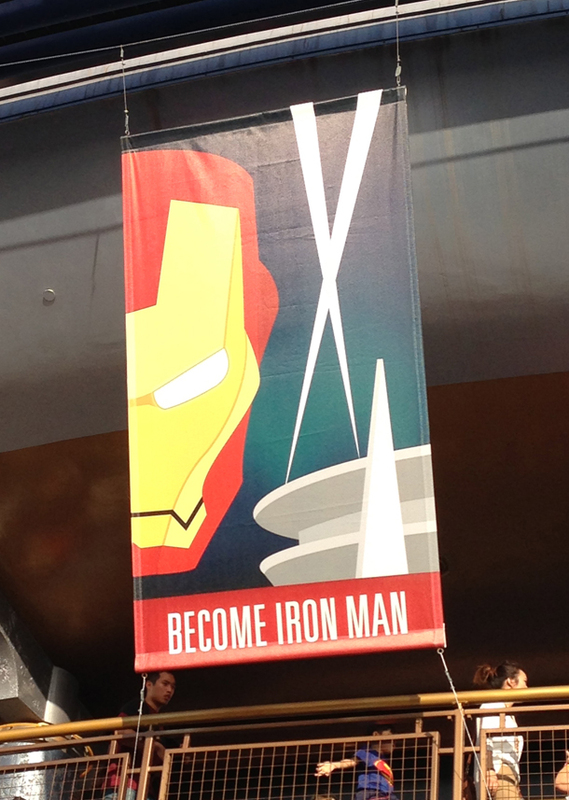 Iron Man 3 also marked the first time a Marvel attraction has opened at one of the Disney parks (the Aveng-o-rail doesn't count). "Iron Man Tech" opened in Disneyland's Innoventions shortly before the movie came out and is the first thing to have created a line to get in to the building since it opened in '98. It may have been the first but I doubt it will be the last. Now on to the theme park side for some interesting news and rumors. I will mark official announcements from Disney with an * so you can tell the news from the rumors. And remember that until they break ground on something it should be considered a Rumor and the plans could change at any time (for better or worse). Mickey and the Magical Map* - A new stage show is finally coming to the Fantasyland theater for the first time in 7 years. Needless to say many Disney fans took a huge sigh of relief when the news came out. The show looks like it will be a cross between Epic Mickey and Fantasmic, the fact that this sentence exists tells me I will love it when I finally get to see it. I'm including some of the behind the scenes videos Disney has posted as a teaser for you to enjoy. Mickey and the Magical Map opens this friday (May 24th, 2013) at Disneyland Park. Starbucks coming to Main Street* - first announced on the Disney Parks Blog, most seem to be happy about this. But as someone who doesn't like coffee (which is hard to find in Seattle). Personally I am not a fan especially because it will be taking over the area previously known as "Disneyana" which is where we were able to get the fine art, statues, and collectibles in Main Street. With this change that merch will all be sold at the Disney Gallery now. Frontierland Expansion - It was reported a while ago that John Lasseter took a tour of the potential expansion pads in Disneyland. And the current rumor is that Frontierland will get an expansion with an Oz themed sub-land that would be part Kansas and part Oz. I like the concept of this though I am unsure of how likely it is. It has also been speculated that if The Lone Ranger does well enough his summer that we may see some Lone Ranger touches show up in Frontierland. Personally, I'd rather an expansion NOT be based on a movie but if it has to be, I'll take either of these flicks. Iron Man E-ticket for Tomorrowland - Rumor has it that some time this year we could see the current home of Innoventions bulldozed to make way for a new E-ticket based on Marvel's popular Iron Man. Considering that the original post about this said the building would start coming down this last February it is also possible that the plans were changed in to what became Iron Man Tech which happens to be on the top floor of Innoventions. Tron Light Cycle attraction to utilize the People Mover tracks - The People Mover tracks have been lifeless since Rocket Rods closed on September 25, 2000. The current rumor is that we will finally see a replacement attraction in the form of the Light Cycles from TRON: Legacy and that all of Tomorrowland will be getting an overall new paint scheme to give a more "digital future" like that seen in Tron: Legacy. I don't know about you guys but I really dig this idea and hope it happens. Monsters Inc coaster in the studio section of DCA - new E-ticket attraction based on Monsters Inc will replace the current home of the Muppets and would join Mike and Sulley to the Rescue making a new miniland called "Monstropolis". 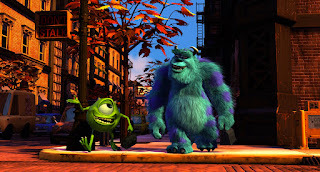 Not sure how I feel about this, I like the idea of an e-ticket being in the area, but not if its Monsters... Monsters Inc has nothing to do with 1930-40 LA which is what its surroundings are based on. It works with just 1 ride because you can say its a movie set, but 2 is a stretch. Also, does DCA really need another Pixar based attraction? Most of that park is already pixar and if that is all that gets added they may as well rename it "Pixarland". Personally I would rather see a new version of DHS (Disney Hollywood Studios) attraction The Great Movie Ride (the movies version of Jungle Cruise) As long as the scenes aren't cloned from DHS I'd welcome this addition before anything pixar. Christmas Parties - Similar to the Halloween parties Disney is thinking about having Christmas Parties now as separate ticketed events. 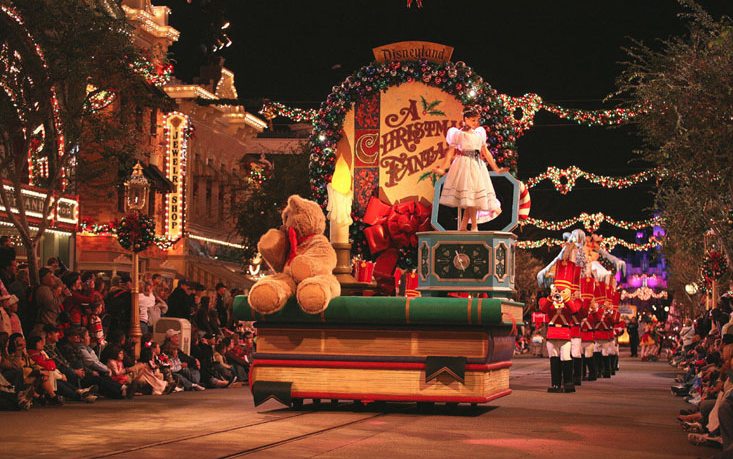 If this happens Soundsational will continue to be the daytime parade all year and Christmas Fantasy Parade will only run during these parties. Also you would only be able to see the Holiday fireworks and experience the Snowfall during thee parties. To "make up" for it Disney would offer a nightly holiday version of World of Color in DCA for non party guests. Personally, I am highly against this because the holiday festivities have been included with basic admission the time of year since the 50s. with Halloween, they didn't start doing anything until the last decade or so so it wasn't as noticeable when the parties started. I know WDW fans are used to this but as a DLR fan at heart, I do NOT think this is a good idea. Marvel park as 3rd gate - It is currently rumored that in an effort to answer to Universal cloning Wizarding World of Harry Potter on the west coast that Disney will turn the Toy Story lot in to a 3rd theme park themed to Marvel. 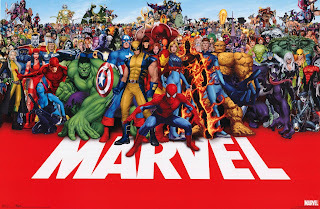 I like this in theory though I hope it will be more then just Marvel, how about we also have Star Wars in there. That will do it for this time. I hope you all like it!! !